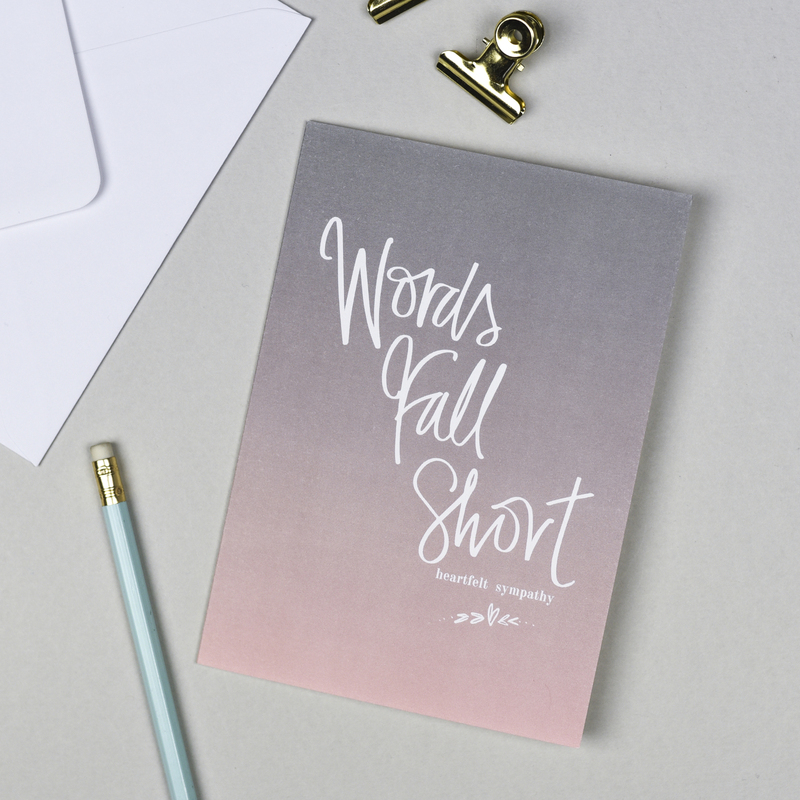 Words Fall Short Sympathy Card. At times of loss there is nothing you can say to make someone feel better, just tell them you are there for them. 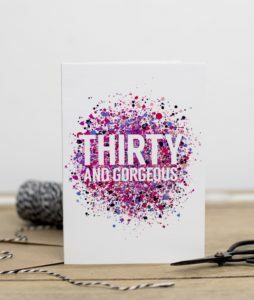 This luxury greeting card is made using quality 300gsm GFSmith uncoated FSC accredited paper stock. 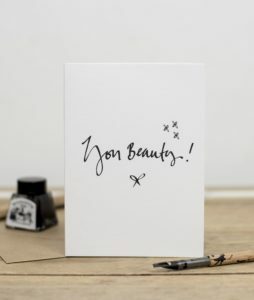 The card design features hand-lettering and pattern by Lynsey at Pearl of a Girl Stationery. 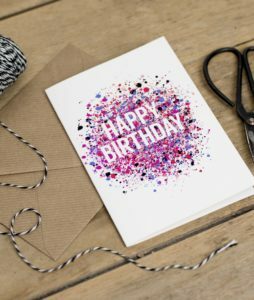 This card is professionally digitally printed in England on luxury card stock. 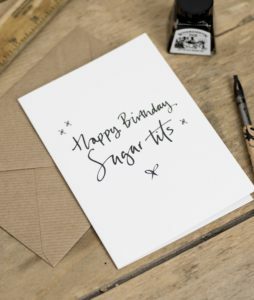 This card also comes with a high quality silver envelope and is wrapped in a cello bag for protection.